When it comes to musicality and musical arrangements, Tommy is the guy to talk to. This talented musician has collaborated with some of the biggest artists and producers in the business, composing music and developing musical arrangements to create better and richer melodies. 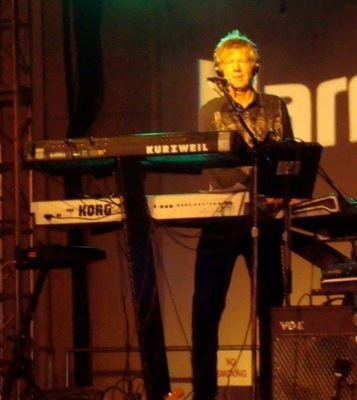 As the keyboard player for Steel Breeze, he’s the one that brings structure and harmony to the songs of the band. He really is the icing on the cake, the one that adds flavor, the one who can make any musical piece sound better. When he’s not on stage playing, you may find him at his home recording studio, experimenting with new sounds, playing his keyboards, recording and mixing songs, researching new audio techniques to improve and create better effects.